From the cobbled streets of Galway to the cool grey rock of the Burren, journey through beautiful landscapes, past fairytale castles and into the heart of Ireland's neolithic past. 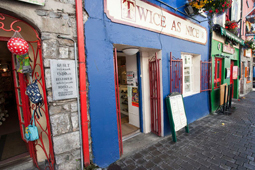 Famous for its culture, "craic" and laidback bohemian vibes, Galway city is perfectly suited for exploring on foot, and a walking tour is a great way to enjoy it. 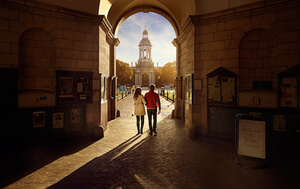 Get a history fix at the Galway City Museum, soak up the medieval atmosphere of the Spanish Arch overlooking the sea, or grab a bite to eat in Ard Bia, Kai or McDonagh’s – a top spot for fish and chips. Join the fun at the Galway International Arts Festival (July) when the City of Tribes becomes a festival of surprises. 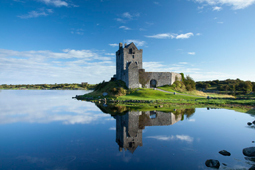 Perched on a rocky outcrop overlooking Galway Bay, Dunguaire Castle is the star of a million photos. This craggy, romantic 16th century tower sits just outside the pretty village of Kinvara, and in the early 20th century was a meeting place for some of Ireland’s greatest writers, including WB Yeats, George Bernard Shaw and JM Synge. 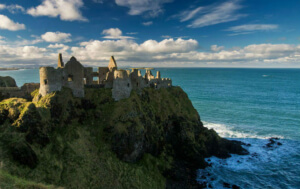 Book ahead and make a night of it with dinner and literary readings at the Dunguaire Castle Banquet (seasonal). 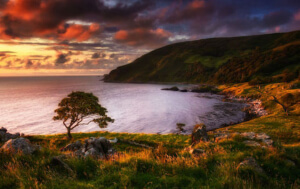 The picturesque little village of Ballyvaughan is the perfect place to start exploring one of Ireland’s most incredible landscapes – the Burren, part of the Burren and Cliffs of Moher UNESCO Global Geopark. Stark grey rock tumbles over the land here right down to the Atlantic Ocean, and following a walking trail from the village is a great way to experience this karst limestone region up close. In the village, stop off for a cake at the Alice in Wonderland-style An Fear Gorta Tea and Garden Rooms – it’s a delight. If you're visiting on a Saturday between May and October, the Ballyvaughan Farmers' Market has everything you'll need for a picnic! 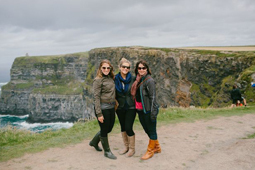 Journey to the centre of the earth – almost – then emerge to roar at the impeccably stunning Cliffs of Moher. You can't visit this part of the world without going underground – at least for a little while. 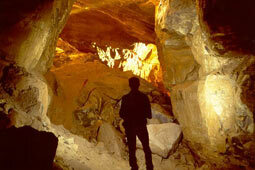 Deep down in the Aillwee Cave, nestled into a limestone terraced mountainside, you can seek out fossils, explore beautiful caverns and wander through the chasms and bridges carved through the limestone over millions of years. Don't want to go below ground? Talk a Hawk Walk with a feathered friend at the Burren Birds of Prey Centre. 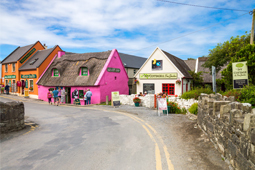 Passing through the lively village of Lisdoonvarna, the road winds around until you get to Doolin – one of the best places in Ireland to catch some traditional music. Stop for a bite to eat at the Wild Honey Inn, just outside Lisdoonvarna, then step into McGann's or Gus O'Connor's in the evening, and you'll find a toe-tapping music session taking place, with a great warm atmosphere that keeps things going late into the night. Make a date – literally – at the brilliant Lisdoonvarna Matchmaking Festival (September). Stretching out into the mist along the Irish coastline, the Cliffs of Moher are jaw-droppingly beautiful. Waves crash below, seabirds whirl above and paths wind along the cliff-edge with photo opportunities all the way. Unmissable. If you want to get a closer look, book online for the Cliffs of Moher Visitor Experience where you'll get the best rates, best times and guaranteed entry. Or take a walk along the incredible Cliff Path (8km) from Doolin – all that exercise is well worth it for the views. Take a cruise and marvel at the scale of the cliffs from sea level – you may even spot the sea cave that featured in Harry Potter and the Half Blood Prince! 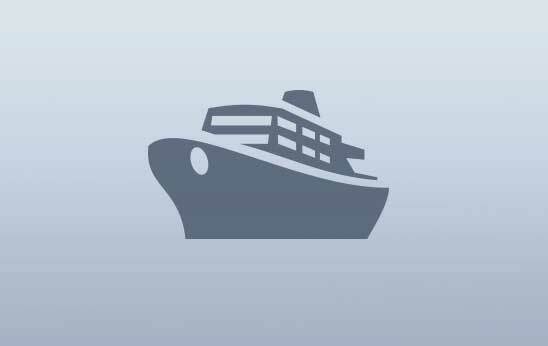 A number of ferry companies operate cruises from Doolin Pier. Watch the aqua acrobatics from this fine surfing hub, before journeying to a place called Lover's Leap. 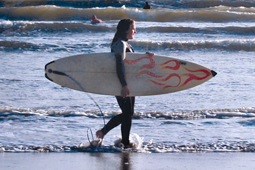 Boasting a scenic location at the tip of Liscannor Bay, Lahinch is a small and buzzy coastal village that’s a big hit with surfers. Surfing makes for a fascinating spectator sport, so pick your vantage point and watch the thrills on the waves – any time of year. Or perhaps you'd prefer to be on the greens at Lahinch Golf Club, a world-renowned links course that's challenged many a great since opening in the 1890s. Drop into the very friendly Barrtrá Seafood restaurant just outside Lahinch for deliciously fresh fish and shellfish. 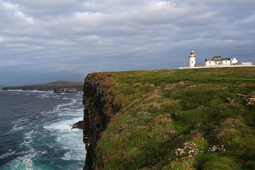 A favourite holiday haunt since Victorian times, Kilkee – the gateway to Loop Head – has seen Lord Alfred Tennyson, Charlotte Brontë, Che Guevara, Richard Harris and Russell Crowe all head here to refresh the soul and the spirit. 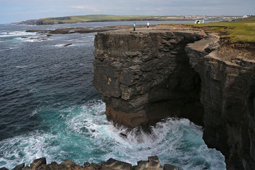 Protected from the full force of the Atlantic by a reef called Duggerna Rock, take a walk on the wild side along the Kilkee Cliff Walk – an exhilarating 8km loop that takes you past natural swimming spots called the Pollock Holes, incredible blow holes along the cliff edges. Stunning. Pop into Murphy Blacks in Kilkee for a great selection of seafood dishes – and to hear the secret of Kilstiffin – a hidden city that appears just once every 100 years! Follow the one main road, criss-crossed by quiet boreens (narrow country roads), and you're at the place where the sheltered Shannon Estuary meets the Atlantic Ocean. This is Loop Head, where the views stretch out to the Blasket Islands in Kerry, and spotting dolphins, whales, seals and seabirds is commonplace. This is another spot with a World War II relic: large white letters spelling ÉIRE were placed on the peninsula to let pilots know they were entering neutral airspace. Climb to the top of the lighthouse and look down on Ross Beach, where sea urchins, barnacles, limpets, and the beautiful strawberry anemone rest. Nature at its finest. Just past the lighthouse you'll find Lover's Leap – a giant sea stack with an intriguing legend, aptly called Diarmuid and Gráinne’s Rock. 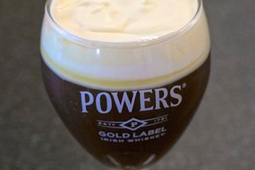 Let the Atlantic winds heighten your senses while out at sea with the dolphins, before taking a sip at the home of the Irish Coffee. At the very place where the Shannon River opens into the Atlantic Ocean is Europe's largest group of bottlenose dolphins. A beautiful sight! 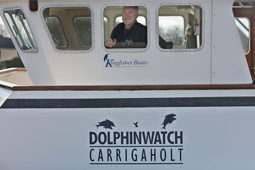 Take a boat trip with Dolphinwatch at Carrigaholt, and see these wonderful creatures (and perhaps a few grey seals) in their natural habitat. Back on land, you might catch a glimpse of a herd of wild goats or even nesting seabirds. No surprise then that this place is one of the BBC Wildlife Magazine's Top Ten Attractions in Ireland! The Killimer-Tarbert car ferry not only cuts down travelling time, it straddles the counties of Clare and Kerry, taking in some terrific scenery all the way! “Is this Brazilian coffee?”, someone asked. “No," replied Joe, "that's Irish Coffee." It's one of the many tales you'll hear at the Flying Boat and Maritime Museum in Foynes, County Limerick. 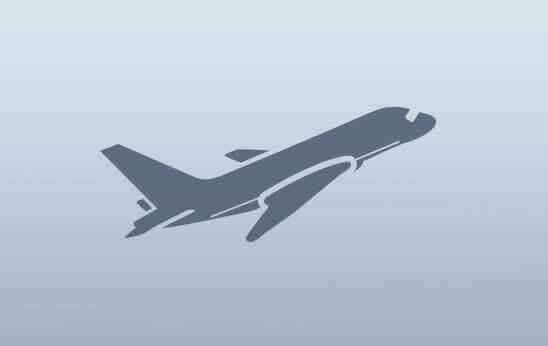 Invented in 1942 by chef Joe Sheridan at Foynes Port, where planes en route from Europe to America would stop to refuel, he whipped it up one cold winter’s night for passengers who were delayed due to bad weather! Of course, the museum is also a haven for those enthralled with the brave stories from aviation history. 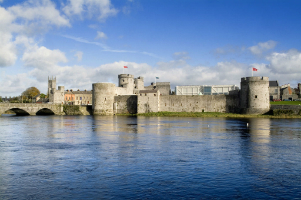 Festivals, food and fun for all the family – Limerick City is a vibrant hub sitting on the edge of the River Shannon. There is a real sense of history to this ancient city with its unique antique stores and artisan café’s not to mention the array of museums and galleries housed here. After a busy day exploring the Georgian Quarter you can take a load off in one of the bustling bars and chat to locals about their beloved sport – rugby! Escape the city and head for the coast again to tee off at Ballybunion Golf Club. 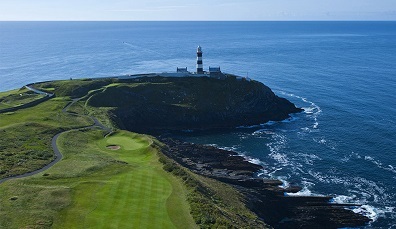 Once visited by Tiger Woods, the renowned Ballybunion Golf Club can be your last stop before making your way to Tralee. 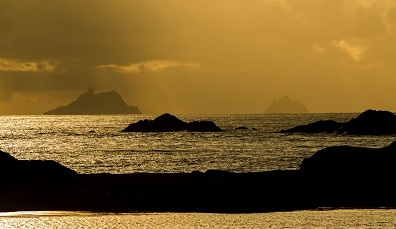 A craggy stretch of coastline from Cork to Kerry that takes in five sensational peninsulas. 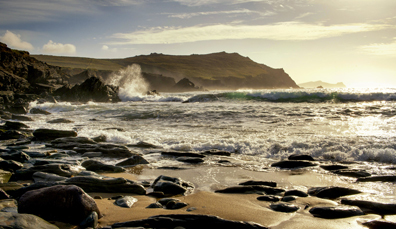 Take in the pretty coastal villages, quirky offshore islands and tropical gardens of Cork. 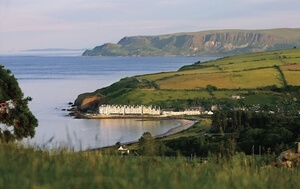 Discover the drama of Ireland's west coast on the world's longest defined coastal touring route. 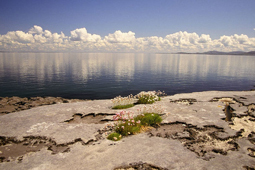 Whether rugged Connemara or the bright lights of Galway city – there’s always something to do in County Galway. Step back in time at this Celtic hill fort and explore Inis Mór, one of the fabled Aran Islands.